So for this challenge what you do is you pick a few books (typically well known) that you have very little knowledge of or nothing at all and guess what they are about based on the cover and title alone. 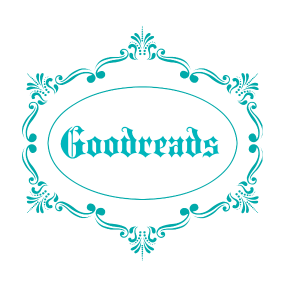 Then, you compare it with the actual blurb on Goodreads and see how you fare. Above the title there’s a tag line ” The greatest risk is not taking one.” So much for for being brave? 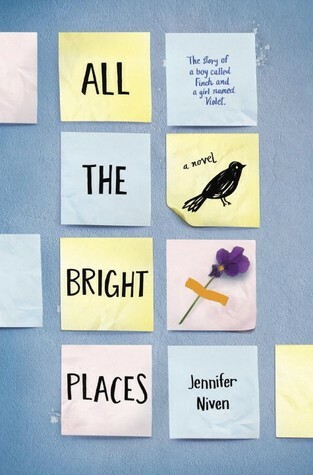 I’m assuming the main character is risk-adverse….However, as I look at the book cover (it screams brightness and happy) so at some point our main character stops being a scaredy-cat and maybe finally comes out of her comfort zone. Honestly I don’t have a damn clue how the title correlates with the picture. 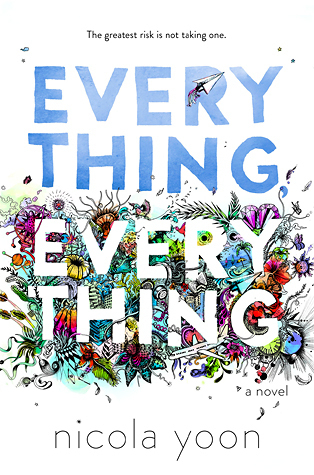 Everything, Everything what?! Actual Blurb: Theodore Finch is fascinated by death, and he constantly thinks of ways he might kill himself. But each time, something good, no matter how small, stops him. I feel like the title just tells you the story. 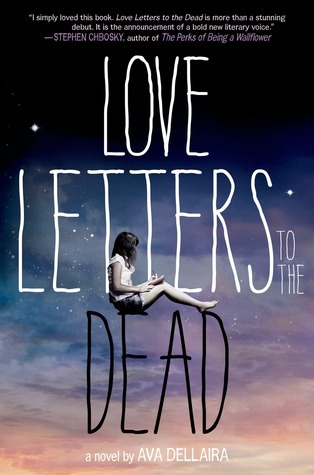 Since there’s a girl writing, I’m assuming she is writing letters to dead people. I mean what else could she be doing? Actual Blurb: Laurel chooses Kurt Cobain because her sister, May, loved him. And he died young, just like May. Soon, Laurel has a notebook full of letters to the dead—to people like Janis Joplin, Heath Ledger, Amelia Earhart, and Amy Winehouse—though she never gives a single one of them to her teacher. She writes about starting high school, navigating the choppy waters of new friendships, learning to live with her splintering family, falling in love for the first time, and, most important, trying to grieve for May. But how do you mourn for someone you haven’t forgiven? It’s not until Laurel has written the truth about what happened to herself that she can finally accept what happened to May. And only when Laurel has begun to see her sister as the person she was—lovely and amazing and deeply flawed—can she truly start to discover her own path. The tag line is “every power has a price”. From this I can assume that our main character(s) has this superpower and they are all after him/her/them? 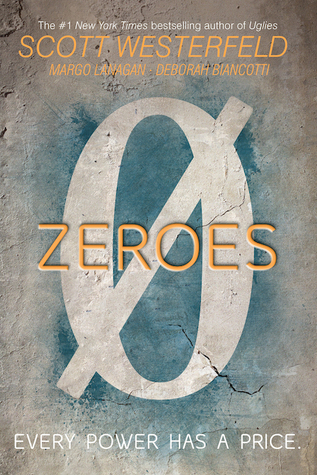 These so called characters probably label themselves as zeroes, hence, the title. This book will probably all action-packed with some crazy s*it happening. Actual Blurb: Ethan, aka “Scam,” has a way with words. When he opens his mouth, whatever he wants you to hear comes out. But Ethan isn’t just a smooth talker. He has a unique ability to say things he doesn’t consciously even know. Sometimes the voice helps, but sometimes it hurts – like now, when the voice has lied and has landed Ethan in a massive mess. So now Ethan needs help. And he needs to go to the last people who would ever want to help him – his former group of friends, the self-named “zeros” who also all possess similarly double-edged abilities, and who are all angry at Ethan for their own respective reasons. Brought back together by Scam’s latest mischief, they find themselves entangled in an epic, whirlwind adventure packed with as much interpersonal drama as mind-bending action. Okay I will just say that this cover is absolutely gorgeous. 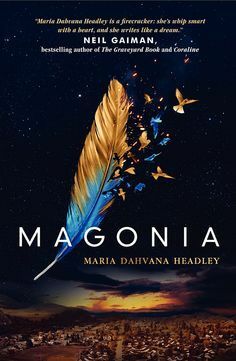 I think the setting takes place in the sky which is represented by the feathers and the birds and the place is probably called Magonia. Maybe the main character is going to Magonia and that’s where his/her adventure starts. Seriously the picture of a feather is not giving me that many clues. Actual Blurb: Aza Ray is drowning in thin air. Since she was a baby, Aza has suffered from a mysterious lung disease that makes it ever harder for her to breathe, to speak—to live. So when Aza catches a glimpse of a ship in the sky, her family chalks it up to a cruel side effect of her medication. But Aza doesn’t think this is a hallucination. She can hear someone on the ship calling her name. Only her best friend, Jason, listens. Jason, who’s always been there. Jason, for whom she might have more-than-friendly feelings. But before Aza can consider that thrilling idea, something goes terribly wrong. Aza is lost to our world—and found, by another. Magonia. Above the clouds, in a land of trading ships, Aza is not the weak and dying thing she was. In Magonia, she can breathe for the first time. Better, she has immense power—and as she navigates her new life, she discovers that war is coming. Magonia and Earth are on the cusp of a reckoning. And in Aza’s hands lies the fate of the whole of humanity—including the boy who loves her. Where do her loyalties lie? Overall I think I did okay even though my guesses weren’t that close. And because I haven’t tagged anyone in the last couple of book tags I’ve done recently I will be tagging other bloggers to do this one. and anyone else who wants to do this challenge! You did really well! 🙂 Much better then me, haha. Ha ha, reading this was so entertaining!! Especially your Everything Everything guess. Lovely post!